The TV magazine “Experiments with Anton Voytsekhovskiy” introduced the Heliotrope building to a Russian public in the episode “Unusual Buildings in the World”. Hanna Lehmann, the architect’s wife, guides Mr. Voytsekhovskiy through her revolving home: the first Plusenergy building in the world. The fesa eV organizes a movie night for all interested parties on 30 March2014 . You can see the 50 -minute documentary "Welcome to the Energiewende " by American author and environmental activist Craig Morris. Along with his children, he traveled through Germany , to see the success of the energy transition with their own eyes . 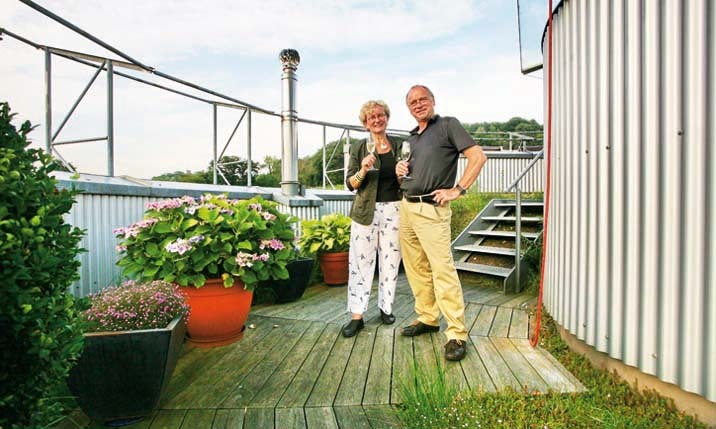 On their tour of the country of “Energiewende” they interviewed pioneers of renewable energies, saw solar and wind power plants, as well as passive houses and visited 100-percent-municipalities - even a nuclear power plant was on their agenda. The result was a bilingual (German and English) movie, which celebrates the energy transition in a relaxed and amusing way . Also the Vauban quarter in Freiburg, the Solar Settlement and the Heliotrope get presented. 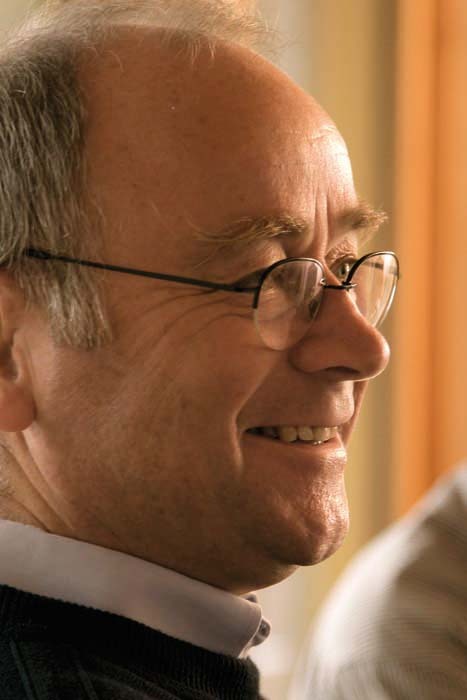 For the screening in the Vauban quarter, the director will be present. 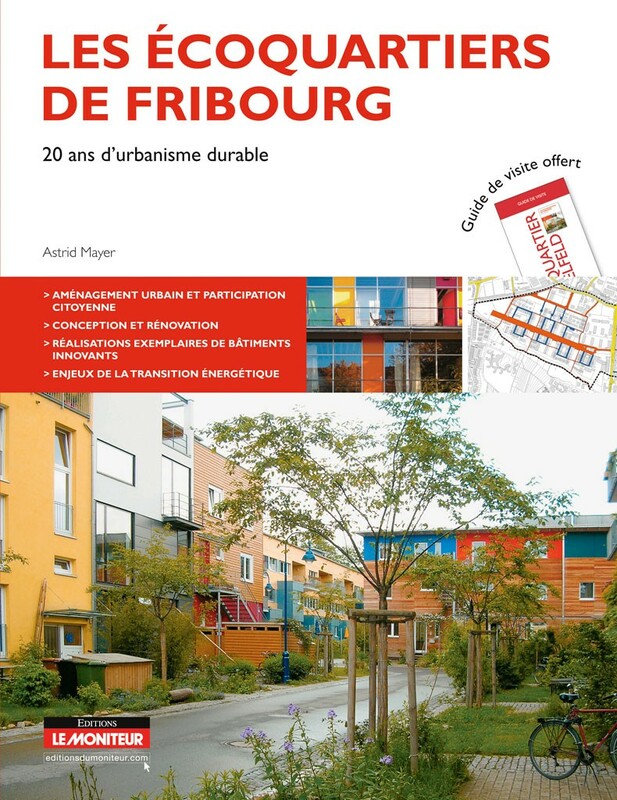 The journalist and proprietor of the sustainability education agency “Freiburg Future Lab”, Mrs. Astrid Mayer, has come out with a study of the “Green City Freiburg” in French language, presenting in particular the sustainable architecture and urban planning of the city. The book combines the advantages of a "special interest" guide - which is understandable for laymen but which also has far more to offer than a mere introduction as well for the expert - with a richly illustrated explanation of what lies behind the famous Freiburg eco-quarters and what you need to know to understand their origin and the lives people live in them. It is not just about the technology, but also about the social aspects. The projects by Rolf Disch Solar Architecture are presented in detail, too: the Heliotrope, the Sun Ship and the Solar Settlement. It is obvious: the author knows her stuff and has done a profound research. One wishes the book with its in-depth information would be available in German and English, too. For more information about the book please check here. How beautiful Solar Architecture Can Be! Also in France, sustainable building projects meet with ever greater interest. The first French Plusenergy House is soon to be constructed in Paray-le-Monial in the Burgundy region, designed by Rolf Disch in collaboration with the Paris based studio of Frenak-Jullien architects. The major problem in France is: energy is as cheap as otherwise only in some developing countries, mainly because most of the electricity is generated in old nuclear power plants that have long since been amortized. So one easily assumes that it does not make any economic sense to have energy efficient buildings, or to consider the use of renewable energy sources. All the more important, therefore, to convince our neighbors not only of the necessity but also of the aesthetic qualities, of the new luxury, of the special way of life a plus-energy home offers. The French producers of TV Only have succeeded in showing exactly this. 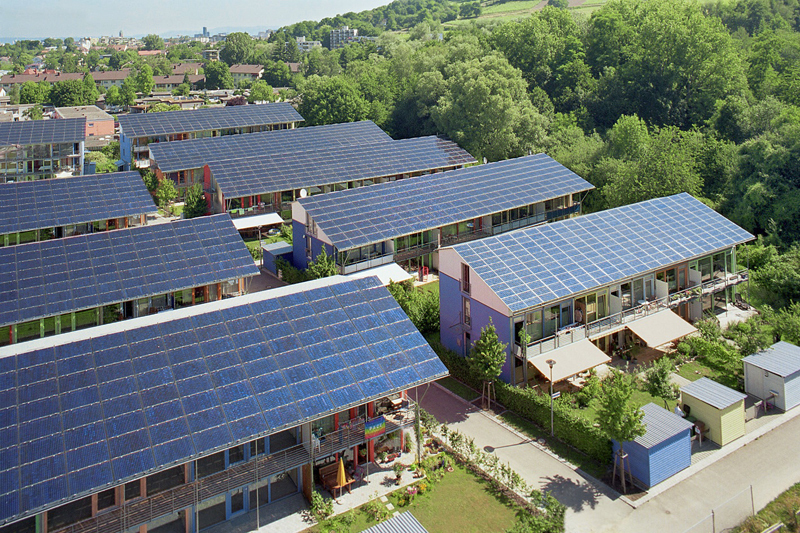 Rarely have we seen such beautiful pictures of the Solar Settlement in Freiburg. The camera catches everything, the atmosphere, the green of the gardens, the blue of the solar roofs, the rainbow colors of the architecture - and the people moving in the streets of the housing estate. However, the explanations are not forgotten, either: Rolf Disch explains technology and architecture. A resident tells what living in such a house feels like. A researcher of the Eco Institute gives an impression of the working atmosphere in the “Solar Ship” office building. And the director of the Economic Development Agency of the City of Freiburg embeds everything in the political context of the Green City. 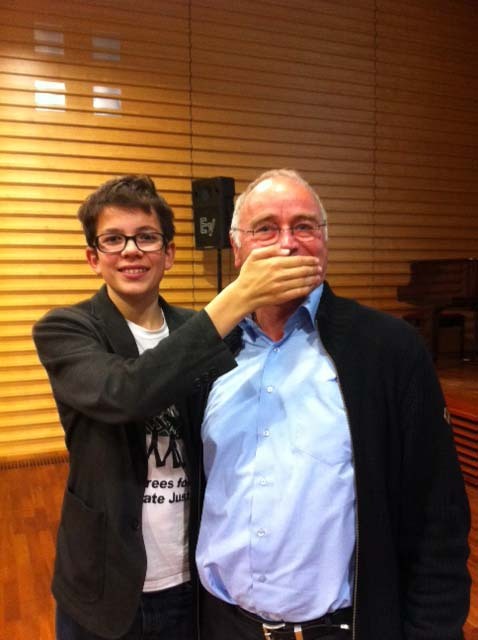 On 13th October 2013, a “Plant-for-the-Planet”-Academy was held in the Catholic Academy in Freiburg: Children encourage children to get active and act against climate change. 100 trees were planted on the “Schlossberg” in Freiburg. The climate protection initiative “Plant for the Planet” was founded in 2007 by Felix Finkbeiner who was then 9 years old. 12 billion trees have already been planted worldwide. The aim for 2020 is 1,000 billion. "Become part of the worldwide children´s initiative and become a Climate Justice Ambassador at a Plant-for-the-Planet Academy. Together we inform other children and adults about the climate crisis and show what we can do in our fight for our future: We plant trees as a symbol for climate justice, we give speeches and in our campaign "Stop talking. Start planting." we symbolically shut the adults up, to show that it's high time to act. Because talking alone isn't going to stop the glaciers from melting! 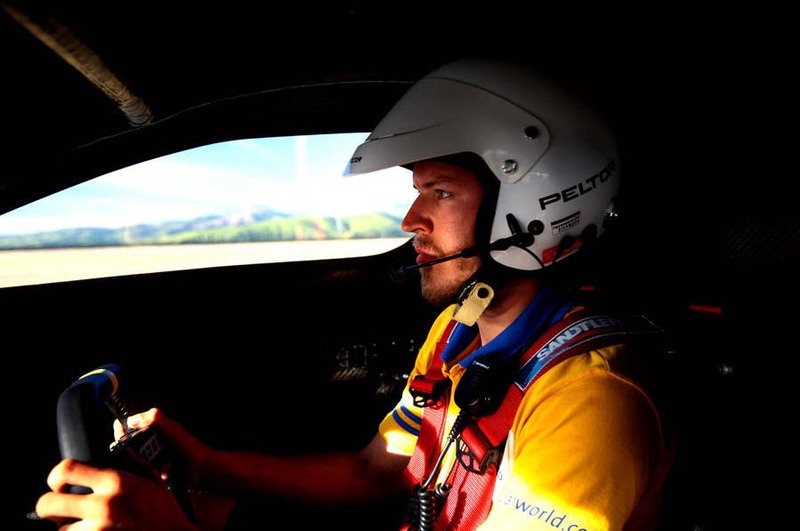 Rolf Disch supports Felix and his global team of young fighters against climate change. Please read on the website plant-for-the-planet.org how you can support this impressive initiative. 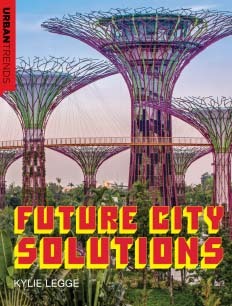 Legge shows the major current influences on the design of cities – and which influences there will most probably be in the future. The issue of a clean energy supply without harm for the environment is certainly one of the most important such influences. 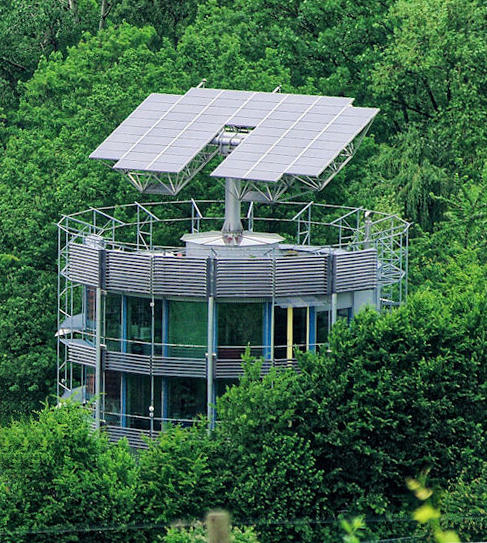 The Solar Settlement in Freiburg serves as an example, how this problem can be solved. A description of the book series can be found here. The German Renewable Energy Act (EEG), as the only effective tool, has provided that we have come to 25 percent climate-neutral electricity in only twelve years. More than 50 nations have copied it. It has become clear enough that we can reach 100%, and how we can get there. This is frightening enough for the conventional large scale producers. But immediately there are politicians to jump to their help and assist them in prolonging their outlived regime a little longer. If then the politicians try – as Minister Altmaier did – to sell their protectionism of the old system to the citizens as a great leap forward in the transition process towards a new system of renewable energies, this is hardly credible. Neither are we convinced of the argument, that the consumers need to be protected from rising prices by restricting renewable energies (which have become and are becoming cheaper and cheaper) in favour of fossil-nuclear energies (which are becoming more and more expensive) – and all this in the name of a so-called “free European market”, as EU commissioner Guenter Oettinger claims. Let us have a look at the European variant of the attack first: If we only had a free market for electric power in Europe! The electricity would become so much cheaper! And as for the ecological factor, we should simply determine gradually rising quotas for the renewables. Who, according to Prof. Gerken in his recent article in this newspaper, protects the consumer from the „horrendous subsidies for eco-power“? A very strange alliance of free market forces and bureaucrats from Brussels! This is as contradictory as it is absurd. International negotiations in this field have regularly resulted in only minimal solutions – quite unlike the successful Renewable Energy Act. The attempt to establish European quotas would fail just as miserably as the Kyoto negotiations did. And if electric power gets cheaper in the long run in case the large quasi-monopolists may again brush their competitors – all the small producers of renewable energy, the photovoltaic roof-owners, energy cooperatives, municipal utilities – off the market, this seems more than questionable. So let us proceed to the attack by the first Federal Minister for the Environment who does not celebrate the expansion, but the limitation of renewable energies as a great success: Altmaier, too, wants to introduce quotas – so that the consumer price may not increase. And of all the operators of renewable energy plants should pay an "energy transition solidarity fee". Mind you, the producers of renewable energies, not the operators of nuclear and coal-fired power plants – even though they are much higher subsidized than the renewable energy companies. Only this not visible to all on their energy bills, but hidden in the tax budgets. Ironically, now that the EEG levy and the cost of wind and solar power have decreased below the current household consumer price that everyone pays for electricity from the public grid - because we as consumers have invested into the future via the EEG levy - in this very moment of grid parity we shall not reap the fruits? And instead change the system, introduce a quota and try to achieve the energy transition with a model that has not worked out anywhere it has been tried out? In fact, the cost of fossil fuels and nuclear energy are rising, because it becomes more costly to exploit mineral deposits, while the competition for those resources increases. In fact, they are criminal energies because they bring economic crises, natural disasters and wars, and make entire regions uninhabitable. They are dangerous, expensive, hostile to life and to our future. Whereas the regenerative energy prices decline steadily, quickly and permanently. 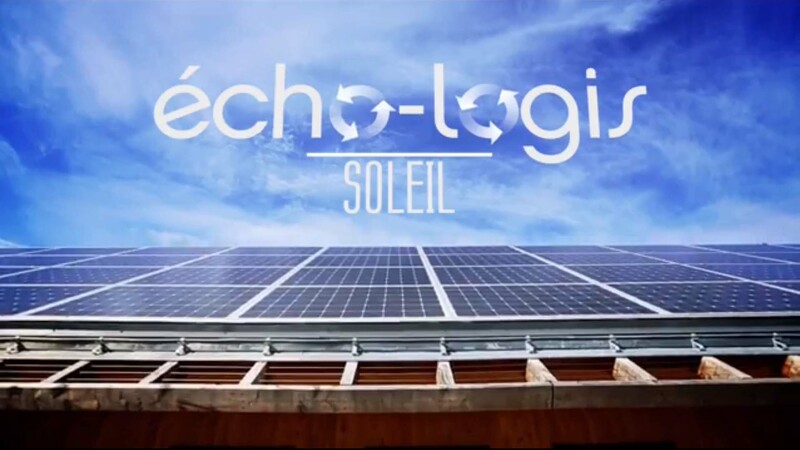 The reason: the wind and the sun do not send you an invoice; they are environmentally friendly, clean, and sustainable. We must subsidize only what is sustainable. We must deny all further support to what endangers our future. And the consequential costs – environmental damage, disposal costs for nuclear waste, military spending for securing the resources – must be considered in the price. Household energy bills can yet be reduced immediately if we take care of economical household appliances of efficiency class A + + +, for why should it still be allowed to sell and buy extremely inefficient domestic appliances? Why do we still build houses and estates which do not supply themselves from the available solar and ambient energies? There is no alternative to the Energy Revolution - because fossil and nuclear fuels destroy the future of our children and grandchildren and will soon be depleted. The Energy Revolution will come anyway. The only question is how quickly we manage the transition and how much waste of resources and environmental degradation we still allow ourselves to happen. 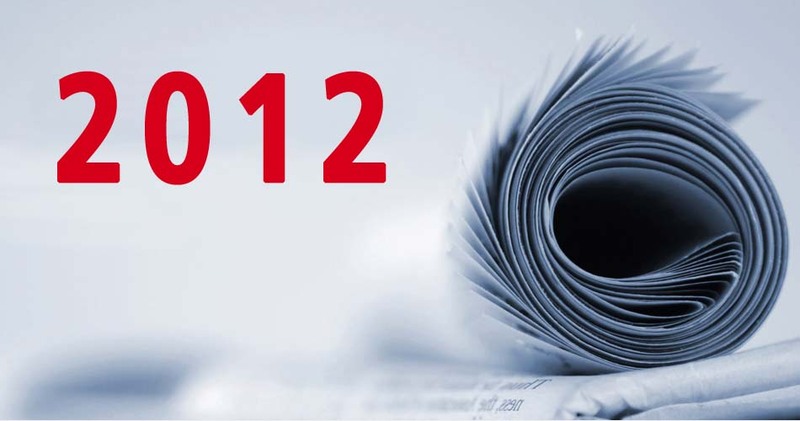 Friday, 18 May 2012, 2 p.m.
Fraunhofer Institute of Solar Energy Systems Research in Freiburg. Solar World GT shows us the way to solar mobility: Since its start in October 2011, it has covered thousands of kilometres, through Australian megacities, spectacular deserts und sublime mountain landscapes, passing through thousands of sheep and passing by the setting of the „Lord of the Rings“-Trilogy in New Zealand. They have crossed the USA, and they are now on their way to Asia. The journey will end back in Australia in the beginning of December 2012.
developed and built the "Solar World GT". In several teams, the young engineers from the fields of mechatronics and mechanical engineering, electrical engineering and computer science have been working on this ambitious project. With a lot of dedication and passion, the teams have put their theoretical knowledge into practice. And they also organize the whole trip and drive the car over four continents. 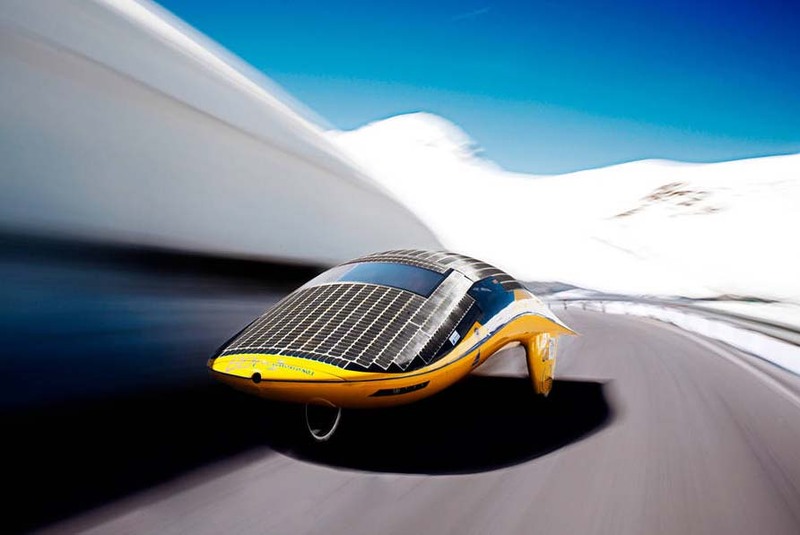 The lightweight vehicle has only 260 kg, and a top speed of 100 km/h. With its solar panels on the roof and lithium-ion batteries for power storage, it is energy self-sufficient: it is driven only by the sun and not in between "refueled" from the socket. 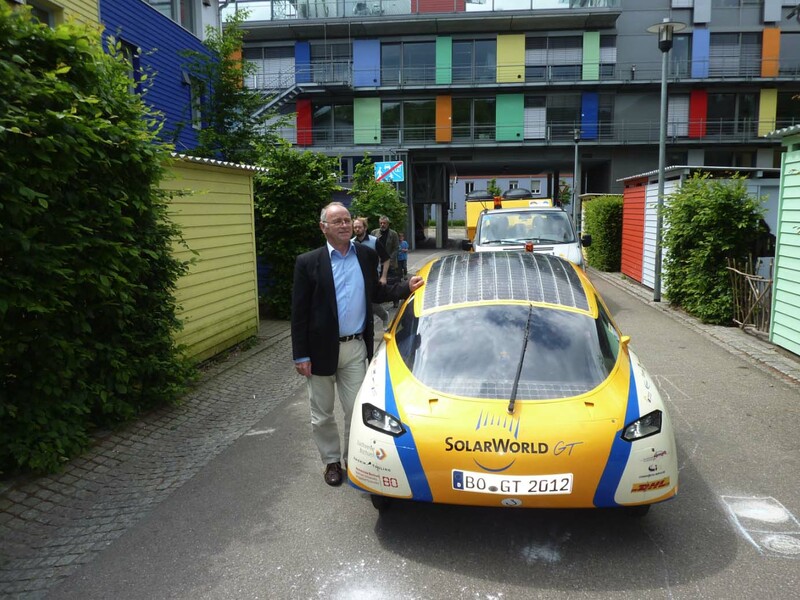 We would be pleased if we could welcome you at the arrival of the Solar World GT at the Sun Ship. 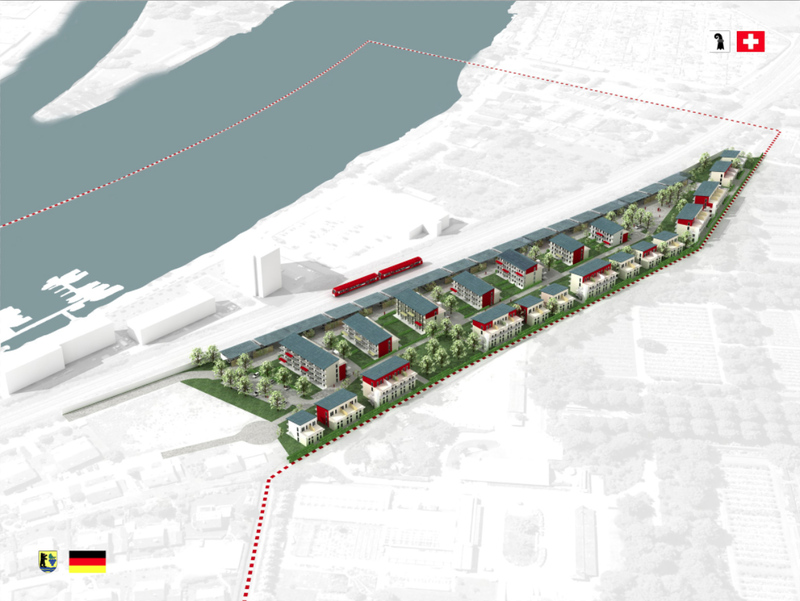 On the way to achieve 100% regenerative energy supply for the Upper Rhine region, Rolf Disch Solar Architecture and the real estate development company Solarsiedlung GmbH have joined to build a new solar housing project in Grenzach-Wyhlen, close to Basel/Switzerland. With ca. 100 plus energy houses in the area “Hornacker”, the settlement will be twice as big as her role model, and thus Freiburg will pass the title "world's largest plusenergy settlement” on to Grenzach. World Exhibitions are Vanity Fair. A fair to expose and trade the vanities of industries and nations. At the same time, they are encyclopaedic, staunchly optimistic forums of mutual exchange on achievements and visions. The EXPO 2010 starts on May 1 in Shanghai, and like with the Olympic Games in Beijing, China will make sure to amaze us with new superlatives. It will be the greatest EXPO ever since its founding in 1851, for sure, and those exhibitions have rarely ever been far from megalomania. But will the World exhibition also yield a sustainable success? We are all tensely excited to find out. „Better Cities, better lives“, this is the motto. We have crossed the threshold of a 50 percent quota of urban residents a few years ago, with over 55 percent of world population dwelling in cities today. China itself has considerably altered its policy from a rigid limitation and constraint of freedom of movement as a human right to hold back rural population from invading Shanghai, Shenzhen and all their cities – which had been meant to and used to prevent the emergence of slums like in Bombay or Sao Paolo. This policy has in part been replaced by a strategy of a new urbanism, with an enormous urban growth that is yet still more or less under central control. But at the same time with large numbers of “migrant workers” illegally moving in: somewhat less controlled, yet – to say the least – largely tolerated, if not politically encouraged. The city as dazzling, deceiving as well as promising, as an ambitiously sparkling promise of civilisation: This is almost a universal constant in the history of mankind – while the transfiguration of rural life into idyll has always been a nostalgic invention, a last illusion of disillusioned urban folks, in Old Rome as well as in Old China of past millenniums. 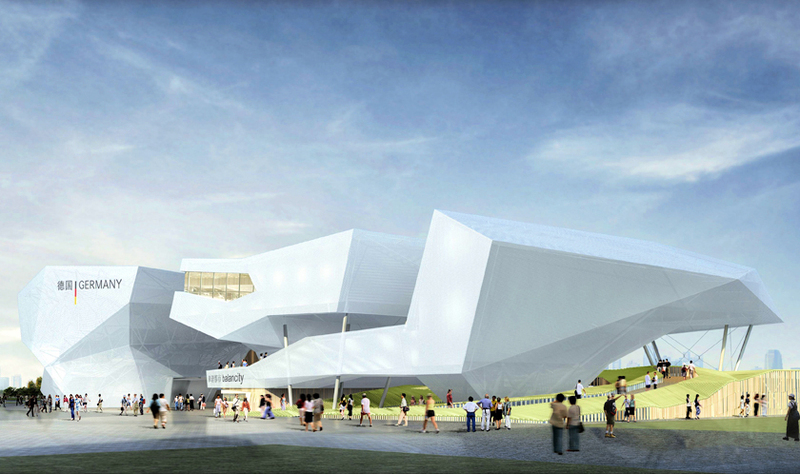 The achievements of architecture and the debate over those achievements have always moulded the World Exhibitions. Paxton’s Crystal Palace set the standard pitch in 1851, in Victorian England, right at the first time, to which all EXPO hosts and guests have tuned their fiddles since then. Exemplary architecture? Or just showcase architecture? Any architecture student – hopefully – knows the Barcelona EXPO pavilion by Ludwig Mies van der Rohe, and you might well have stood under the Eiffel tower (by Gustave Eiffel), if you did not even take the elevator up, high up to the top. The new thing now, in Shanghai, is that architecture, urban development, urbanisation, is the common denominator of a World Exhibition as a whole. 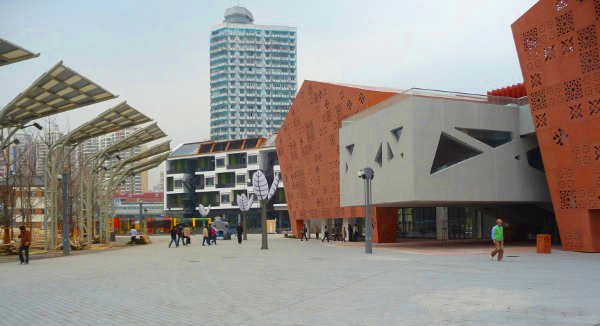 This draws your attention twice to what the representative buildings actually represent: Apart from what sustainability solutions are presented inside: Will, for example, the German pavilion, the “Future Pavilion”, and the exhibition hall – a converted factory building – that hosts the Freiburg stand, succeed in becoming in themselves a contribution to a “Better City” and to future architecture, seriously sustainable for Shanghai, when the masses of visitors are gone? • In all three of the exhibition buildings just mentioned Rolf Disch Solar Architecture buildings, concepts and visions are being presented. The German pavilion shows the Plusenergiehaus® on and in front of an artfully folded photographic wall display – houses, gardens, inhabitants of the Solar Settlement in Freiburg – and a metre counts the ever growing surplus of renewable energy that is fed into the grid, making obvious and evident how any house shall become a power plant. • Entry: The City of Freiburg. Among all invited cities, Freiburg may be the smallest, yet with the “Vauban Quarter” and above all with Rolf Disch’s “Solar Settlement” Freiburg plays a Champions League game in terms of socially and ecologically sustainable urban planning. We are happy to see that this is being presented to a global public of millions of visitors. • The „Future Pavilion“ is one of the thematic show rooms of our Chinese hosts. What they show here, is visions, is the eternal dream that the world may become a better place. Here, too, our Plusenergy concept is on display in a many-voiced movie, and maybe here this concept is really right at its place, at its best. • This is not enough for you? You want first hand information about Plusenergy as an architectural and urban planning, as a social and economic concept? Then you can visit the German Goethe Institute in Shanghai on May 14, to listen to a lecture and talk to us face to face. The Solar Settlement in Freiburg was, in its primary stage, an EXPO 2000 project, back then in Hanover. It might be an indicator of some relevance, that ten years later, in Shanghai, it is present again even four times. Maybe an indicator that the fog is thinning out so that the world is gaining some brighter idea of where we need to be heading on our journey. Or maybe an indicator that we (in Freiburg and on our planet as a whole) are far too slow, so that in the year 2010 an EXPO 2000 project must still serve as a lighthouse project? Should we not have far more to offer by now? We desperately need the speed and resourcefulness of those Englishmen of 159 years ago. And as, in some respects, of the Chinese (and Indians and Brazilians) of today. Anything else would not only be boring, but disastrous, calamitous, catastrophic, if we really look at it. What remains of “Better Cities. Better Live” would only be an empty shell. Imbecile wastes of money and human resources. Boring. Boring. Daft idiocies, but expensive, most clever in its display and its show values. Bonfires of vanities of nations and architects and capitalisms in full bloom or in post-communist disguise. Full of sound, signifying nothing. Exemplary architecture? Or just showcase architecture? Yet, against all odds, the EXPO has always been – here and there in its exhibits and samples, and also in its common effort as a whole – a true enlightenment project and panorama. Throwing a bright light both on global fallacies, and on the state of the art of what might soon become possible, beyond any prognosis or climate change weather forecast. Well then, what do you have to offer on the EXPO, you architects, you towns and cities (like Freiburg), you Chinese and you other nations, you visionaries and realists, you politicians and you exhibition and marketing folks? What? What exactly? And how do we put into action what is worthwhile being put into action? Vanity Fair, still the boredom of competition of nations and industries? Soporific affusions, yet splendidly presented, of bogus and threadbare declarations of intents in global mega-format, like in Kyoto, Kopenhagen and Cancún, or paltry and pathetic trickles inflated into pretended oceans? Great aims declined to dwarf size, and then fluffed up to giant size, as a distraction from world problems? No? What then? What next? You can do better. Please do. We can do better. So much better. So let’s do it. Where does knowledge and know-how meet with accomplishment and enforcement? How do you manage and organise your EXPO to explode into magnificent fireworks and orgies of better realities. Into better lives, into better cities? What a challenge to contribute to that! 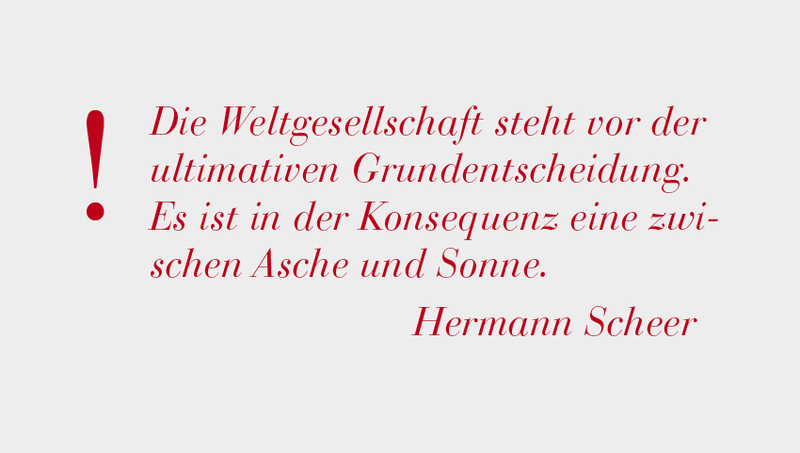 The Goethe Institutes do not see their job as only presenting German fine arts, but they organise a dialogue between Germany and the host culture – on equal terms. They are far beyond the old debate about “the two cultures” – humanistic against technical civilisation –, but they like to exchange ideas about the latest literary achievements as well as about current developments in urban planning. “Made in Germany – Architecture Ecology“, the Goethe Institute’s touring exhibition, designed together with AEDES Berlin, has already been in Barcelona, Riga, Athen, Rabat, New Delhi, Bombay, Manila, Sydney, Bangkok, Peking in the years since 2004, and it is still on tour. It displays projects by Sauerbruch & Hutton (Berlin), Banz & Riecks (Bochum), Schulz & Schulz (Leipzig), Herzog & Partner (München), Ingenhoven Overdiek (Düsseldorf), Werner Sobek (Stuttgart), D’inka & Scheible (Frankfurt) – and also the Freiburg Solar Settlement by Rolf Disch is presented to an international public. The Goethe Institute in Moscow presents online dossier on „Architecture and Modernisation“, in which leading experts try to answer the questions: What houses will we live and work in? What does sustainable building design mean in Russia? Among other projects and approaches, the Heliotrope is on display here. It is certainly not by chance that it is the institutes in Russia and China to ask these questions about a completely new, energy-oriented building design – and to relate this to the classic questions of modernisation and urbanisation. Because in these two countries – and else only in India and Brazil – we see an economic and social change going on which also expresses itself in a gigantic real estate boom, and together with this a gigantic problem in energy supply. 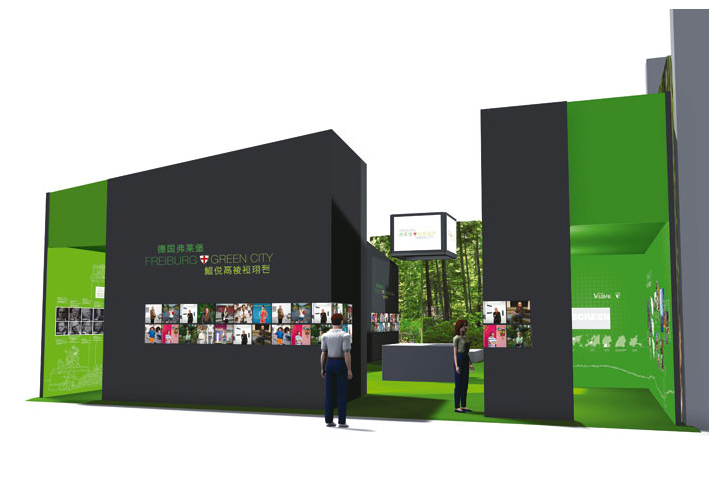 The Shanghai Goethe Institute therefore does not only organise an “Urban Academy” – as a supporting programme to the EXPO. 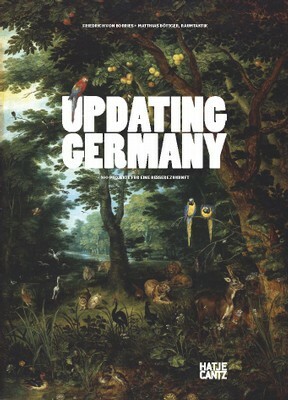 But it also shows the exhibition „Updating Germany“, which was originally planned for the 11th Architecture Biennale 2008 in Venice, with works by Graft, Werner Sobek, Instant Architekten, Sauerbruch Hutton, Dominik Dreiner, Zaha Hadid, Thomas Herzog, Baufrösche, Ingo Vetter, Karo Architekten, bof Architekten, Eike Roswag, Anna Heringer. Again, Rolf Disch’s projects are among those 100 trend-setting concepts and ideas that are meant to anticipate the solar age. 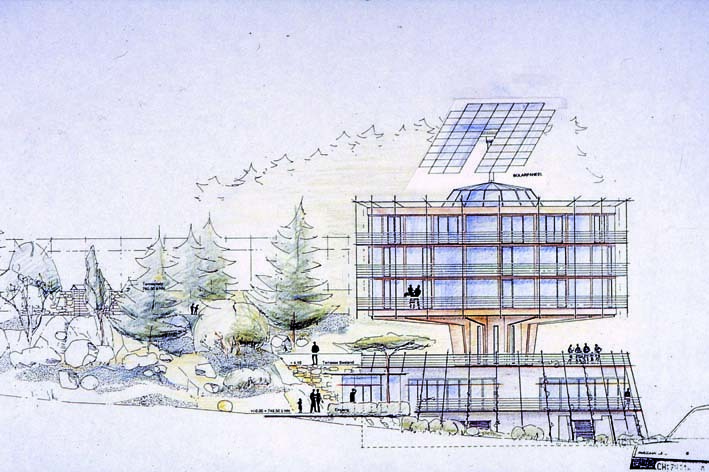 In 1994, when the global green architecture movement was still in its infancy, Rolf Disch created the Plusenergiehaus®, the first home world wide to produce more energy than it consumes. 15 years after its creation, Disch’s further developed PlusEnergy concept continues to be unmatched in energy efficiency and solar architecture technology. 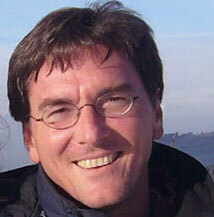 Now, Rolf Disch is expanding his concept in numerous countries in Europe and worldwide. The Bauhaus is probably the movement in the architecture of the 20th century which has shown the strongest impact – and is still showing it. Bauhaus is celebrating its 90th birthday now. But what does that mean in a 21st century context? 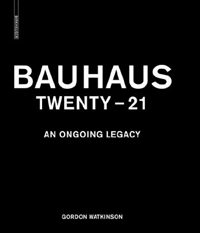 Are there any follow-ups, continuities, is Bauhaus still an inspiration? Is it an “ongoing legacy” that could even lead us to the future, as a whole or at least in some of its aspects? And what aspects are those? Or are we dealing with altogether different problems and challenges, so that the answers and solution consequentially look completely different, too? In a second step, Gordon Watkinson confronts the achievements of the 1920es with trend-setting European architectures of our days. He shows a second series of photograhies, which he confronts with the modern classics. Like Gropius’s famous “Bauhaus Building” with a building by Sauerbruch & Hutton, Mies van der Rohe’s “Villa Tugendhat” with Werner Sobek’s “House R128”. Rolf Disch’s Solar Settlement meets with Walter Gropius’s “Settlement Dessau-Toerten”: two estates of terraced houses which both in their way found a global echo, two projects which – each for its time, for 1928, for 2000, and further on into the future – have to be taken as model solutions. Obviously enough, the big issue, which was then the Social Question, has been replaced, at least to a large extent, by the questions of the energy revolution and of ecological sustainability. You can learn in the exhibition, how a wide range of completely different models and solutions, tendencies and inspirations of the Bauhaus are adapted today. Being itself inspired by the “Arts & Crafts” movement, Bauhaus even already came up with first ideas of what we take as sustainability today. With the Solar Settlement in Freiburg, Germany, these ideas are becoming fully fledged, fully explored in their whole potential: with 60 houses that generate more energy than they consume. The exhibition is under the patronage of UNESCO and the German Foreign Office. It was on display in the German Architecture Museum, Frankfurt, in Krakow and Nice – and it can now be visited in Ljubljana. The catalogue is available at Birkhauser Verlag. The natives of Baden are a peaceful lot. But push them too far and you’d better look out! That’s how it was in 1848, when Baden became a revolutionary state, founding democracy despite Grand Duke Karl Friedrich’s rule. So was the case again in the 1970s as a small idyllic village in Baden, Wyhl, took resistance against the influential nuclear lobby – and the building of a nuclear power plant was prevented. Behind this first opposition was a big bushy beard like out of a storybook. His name was Rolf Disch. 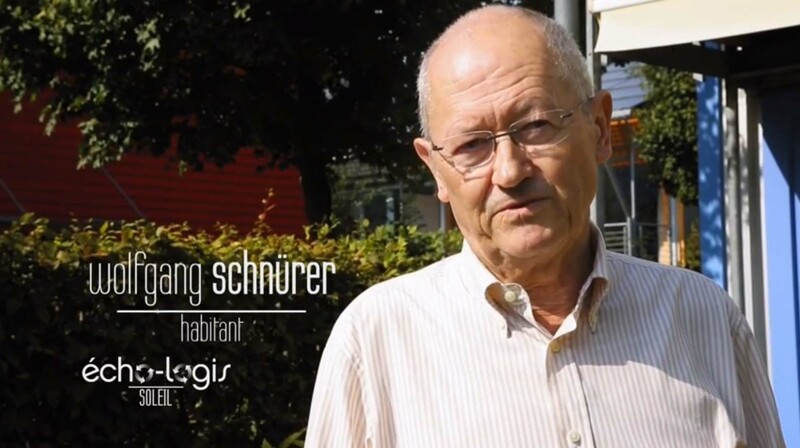 In the meantime Rolf Disch has not only become the most famous solar pioneer in Germany, but he is also internationally one of the most consulted architects for sustainable building. How it came to that, one could tell a variety of stories. „If you have visions, then go and see your doctor“, Germany’s former chancellor Helmut Schmidt once said. But others know well, that without the visionary no progress is possible for our society. This is why last year the Utopia Foundation was founded in Munich – in opposition to the world wide swan song to utopian thought. The aim is to bring about a more reasonable consumption in a sustainable civilisation. After the successive launch in 2008, the Utopia Foundation and its foundress, Mrs. Claudia Langer, invited the most important “change makers” for the second time: On 26 November 2009, protagonists from the economy, from science, culture and media assembled for the Utopia Conference in Berlin. What are the ten great ideas and approaches that will make a real change in the course of the next years? This was the question they tried to answer, and “The Great Lever Action” was the motto. In the evening, such persons who have acted as role models, such companies, organizations and products were awarded that have made – or are bound to make – such changes. 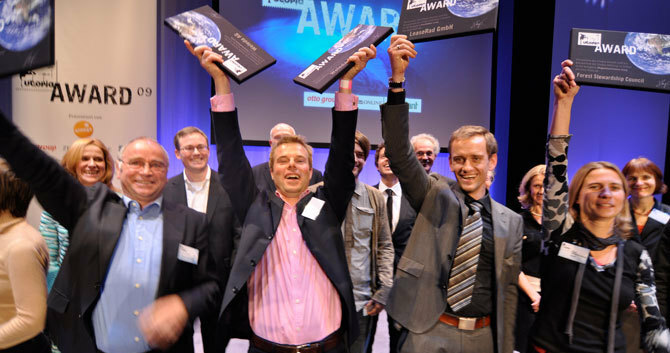 The winners were celebrated in a festive gala, moderated by the famous German TV journalist Sandra Maischberger. 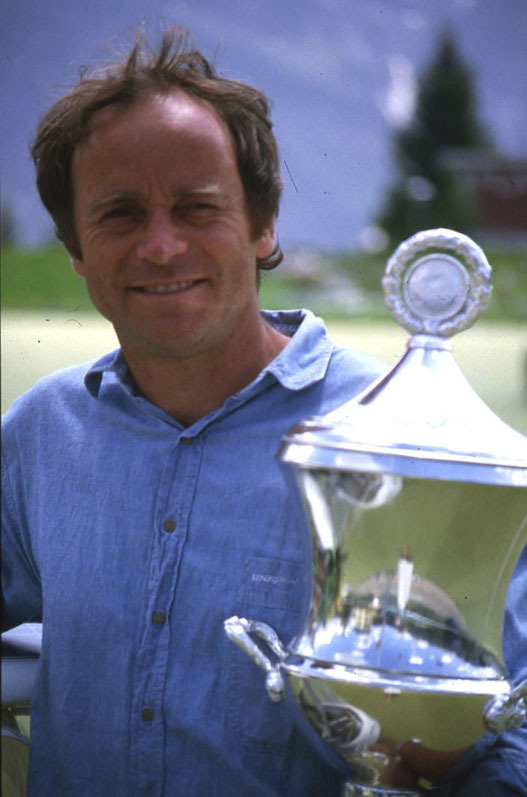 Rolf Disch was awarded the Utopia Prize not only for the “product” of his Current Press Information, but also as a person in the category “role models”, and in both categories it was the Audience Award that was given to him. The architect from Freiburg is the most outstanding pioneer for sustainable buildings, which are trend-setting for bringing together energy efficiency and renewable energies. The architecture is not reduced to the eco aspect, but is also designed for a “better living” in a broader sense. 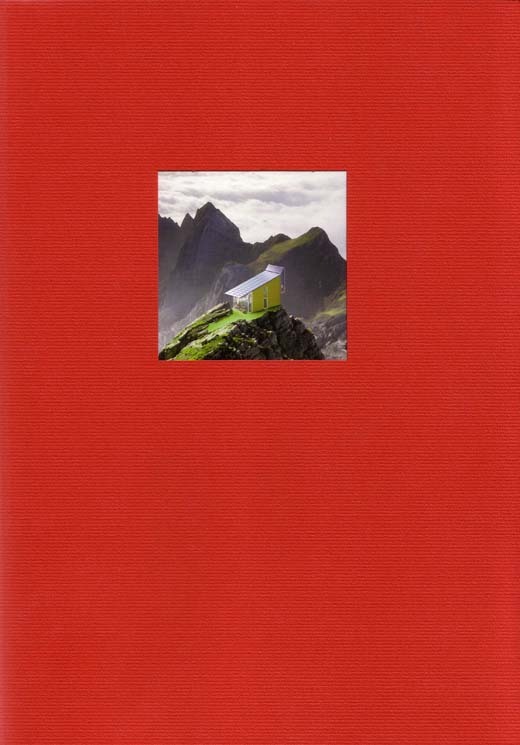 Rolf Disch is characterized by his keenness to experiment, by his determination that he has displayed in the realization of his idea of Plusenergy Houses. Here you find the international press coverage in chronological order. Whereever possible, there is a direct link to the article. 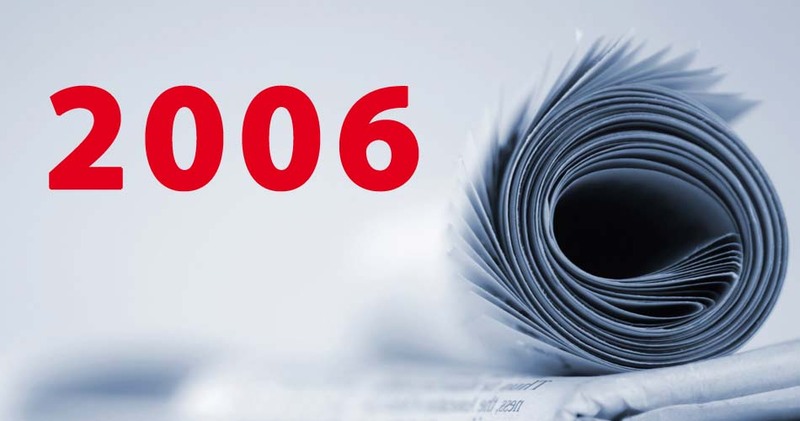 For German articles, please click on the German version. “Convivir con el entorno” by María Pachón, S. 31 ff. first buildings and settlements aiming at balanced energy or emission budgets have been constructed. As an example, the German Federal Government specifies in its fifth energy research programme (2005): For new buildings, the goal is to reduce the primary energy demand, i.e. the energy demand for heating, domestic hot water, ventilation, air-conditioning, lighting and auxiliary energy, again by half compared to the current state of the art. The long-term goal is zero-emission buildings. England and the USA aim for zero carbon developments and net-zero energy buildings (DOE, 2009) in political programmes. In this empirical study, Prof. Karsten Voss and Mira Heinze have shown that the Solar Settlement in Freiburg is already far beyond this aim set by the government. 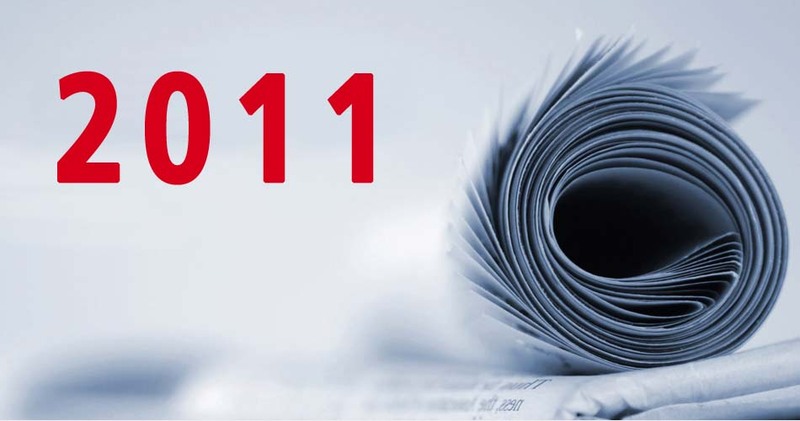 Please find our English brochures (PDF) here for downlaod. Big Cities and small municipalities, local communities and regional networks are important decision makers in the field of preventing climate change. They can act immediately, while international conferences like Kyoto, Kopenhagen or Cancún are too big and too slow. The Plusenergiehaus® provides an optimum of building sustainability for our cities and villages. This could make a substantial change. The brochure „Plusenergy in every community“ was sent out to all 11,000 mayors of Germany, but the campaign was also heard in states like Denmark, Norway or France. Brochure "The Plusenergiehaus® for every community"
… the Sun Ship meets with the highest standards and the requirements of a variegated economic utilization. As a services centre for the internationally renowned Solar Settlement in Freiburg, it combines commerce and gastronomy on the ground floor, attractive office and medical practices space on the upper floors and exclusive penthouses, embedded into a beautiful roof garden landscape. This synthesis is already alive, it is being realised and implemented by an ensemble of sustainably managed companies and institutions. With the 2nd Sun Ship Real Estate Fund (2. Sonnenschiff-Fonds), you can profit from those synergy effects. … the Sun Ship is a quantum leap in building technology. The Plusenergiehaus® is our answer to the ecological challenges of the 21st century – a building that generates more energy than it consumes. The 2nd Sun Ship Real Estate Fund (2. Sonnenschiff-Fonds) is an investment into the future for yet another reason: Compared to conventional property, a solid and sustainable way of building with natural, high quality building materials result in a crucial plus in terms also of value stability. The fund building thus becomes even more exclusive – and your investment helps to keep the world a good place to live in even for your grandchildren. … the Sun Ship is a sign and signal which is perceived far beyond the borders of Germany and even of Europe. Striking and distinctive, yet elegant in its outline with its charmingly cheerful layout of colours, the very façade gives a promise – a promise kept by the layout inside – to meaningful work, to thoughtful consumption, to exclusive living in rooms that are flooded with the light of the sun. You acquire shares of a truly unique building. … you profit from our great wealth of experience with five previous Freiburg Solar Funds. The building, dynamically striving forward, incorporates the idea of a ship – at good speed towards a solar future. With the 2nd Sun Ship Real Estate Fund, you take a stake of one of the most innovative buildings in Europe. Combine financial security and regularly rising gains with your personal engagement for a sustainable, vital future! Get on board! 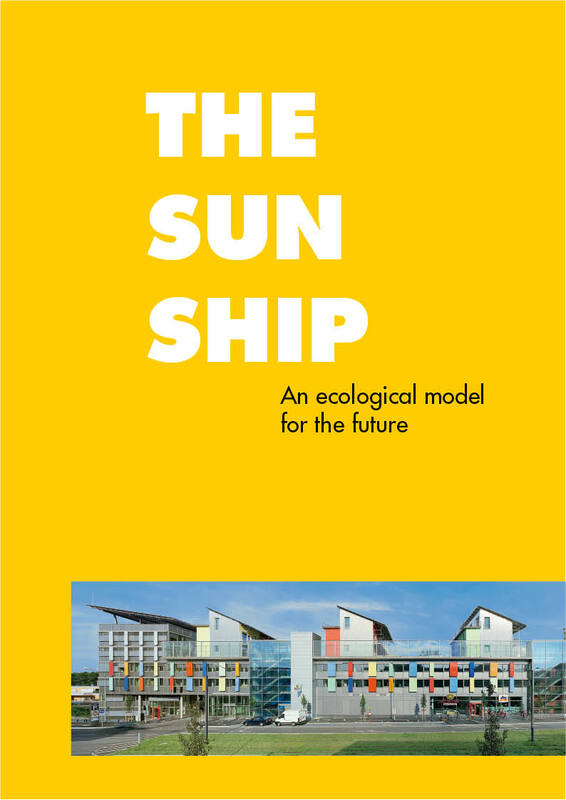 Brochure "The Sun Ship in Freiburg"
This brochure gives an introduction to the Plusenergy concept and to three major projects: the Heliotrope, the Solar Settlement, and the Sun Ship. 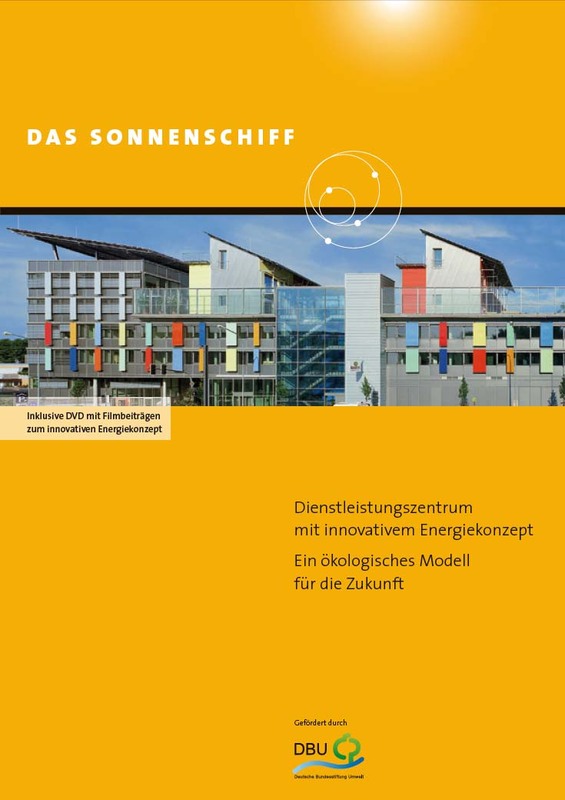 Brochure "Rolf Disch - Solar Architecture"
This brochure shows the results of a number of extensive scientific studies concerning the retail and office building “Sun Ship”. The Freiburg engineering office Stahl & Weis has been commissioned to accompany the planning and building process of the project with complex calculations of the energy balance. This could be done, because the development and design of the façade was financially supported by the German Federal Environmental Foundation (Deutsche Bundesstiftung Umwelt, DBU). Stahl & Weiss have focussed on the technical innovations in energetic façade optimisation, like natural night cooling, thermal comfort and monitoring of the consumption of electric power and heat. A long term empirical study of Bergische Univerität Wuppertal has proved that the Plusenergy principle actually has worked out when put into practice. 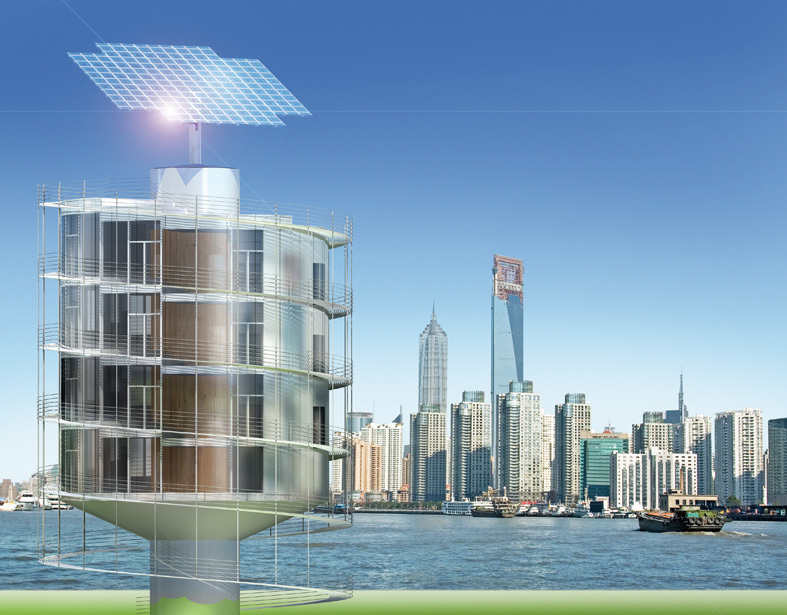 In the framework of their research project “Building and Energy”, the residential buildings (terraced houses and penhouses on top of the Sun Ship) have been evaluated, with a complete balance of all consumptions such as room heating, warm water and electricity on the one hand, and solar electric power generation on the other. Moreover, a study was done on the user side: How is the subjective comfort in the offices, how do people get along with the technology involved? Heliotropic plants have flowers or leaves that turn following the course of the sun. Solar architect Rolf Disch‘s Heliotrope can also do precisely that. It has been planned and built for many purposes, as a residential building, as a compan’s visitor’s centre, es a world exhibition pavilion, as a working space. Why a pivotal hotel? This uniquely designed rotating building gives the townscape a clear profile and sets an example throughout the country. It offers an exclusive ambience not to mention a unique spatial experience for guests – with ever changing panorama views for every room.. By absorbing a maximum amount of solar energy the Heliotrope saves energy and additional expenses. Please download the PDF below for more general information about the Heliotrope, including basic technical data. Over the last 15 years, Rolf Disch SolarArchitecture has advanced the Plusenergiehaus® to such a point that it can now be adapted to any situation and deployed world-wide. This idea: to make use of cutting-edge technology in housing construction anywhere, and thus contribute effectively to reducing greenhouse gas emissions. If something is to function anywhere, it must be highly variable. 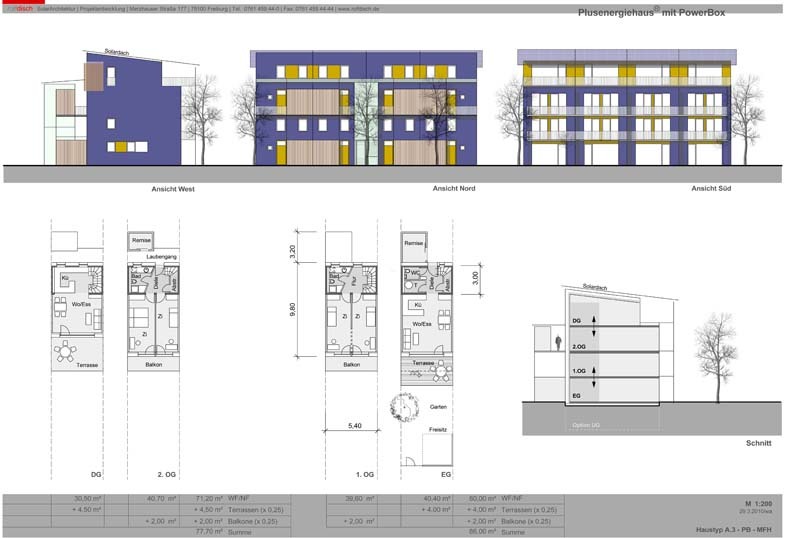 For this reason, we provide a modular Plusenergiehaus® system, that on the one hand minimizes costs and planning inputs by standardizing elements, and, on the other, can be individually combined and adapted. The concept can be used for standalone houses and entire solar housing estates – Rolf Disch SolarArchitecture focuses primarily on building housing estates, however, and has a strong tradition of 30 years in ecological urban planning. Sustainable building construction is not all about technology, and it is always part of our concept to keep the instalments simple, the maintenance low, and the handling easy. Sustainable building construction also is not only about figures. Yet U-values and energy balances do matter. So please find here a synopsis of some technical specifications of some of our major projects. 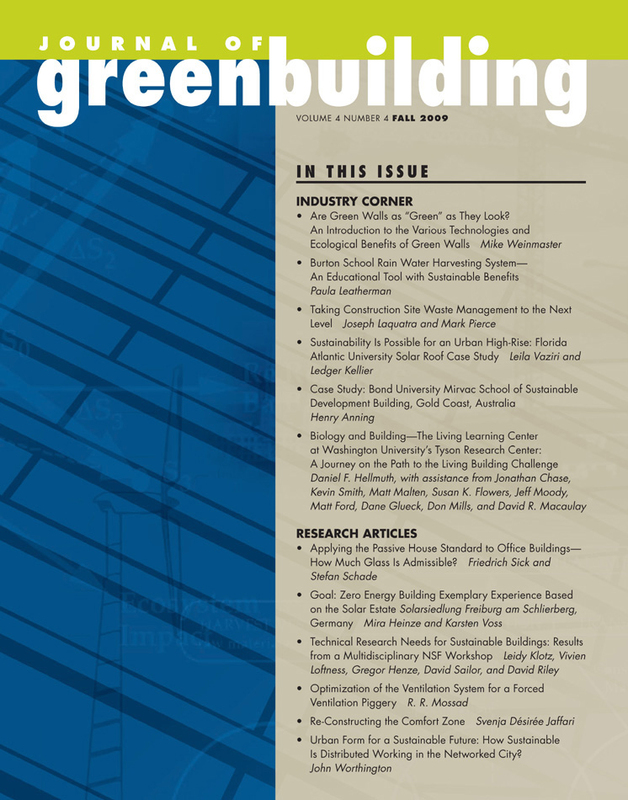 Sustainable building design is more than just a good energy balance. Ecological buildings need not be ascetic. Roof garden landscapes create living spaces of a very special kind. In the framework of an invitational competition, Rolf Disch Solar Architecture submitted the following design concept for the city of Freiburg at the world EXPO 2010 in Shanghai, China. 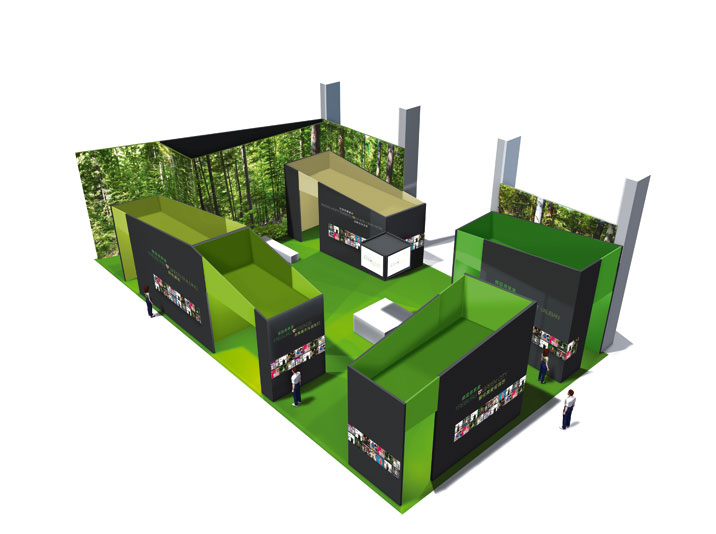 The second part of the design is the exhibition stand, which alone is reserved to display the "Freiburg Charter", while also a Heliotrope tower will be used as the exhibition platform to present the "Green City Freiburg".